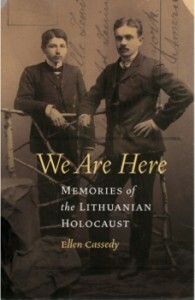 Ellen Cassedy set off into the Jewish heartland of Lithuania to study Yiddish and connect with her Jewish forebears. But once there, old certainties began to dissolve, and what had begun as a personal journey of return soon expanded into a larger quest. The result was her new book, “We Are Here: Memories of the Lithuanian Holocaust” (University of Nebraska Press). 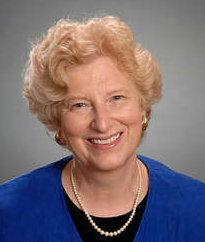 Ellen not only immersed herself in the nearly vanished culture of the “Jerusalem of the North,” but also conducted groundbreaking research, speaking with a brave cadre of Jews and non-Jews who were exhuming the complex truths of the mid-20th Century, reaching out across age-old barriers, and attempting to build a more tolerant future. Ellen’s journey changed her outlook on bystanders, victims, collaborators, rescuers – and herself. 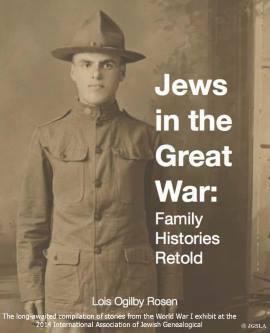 Probing the terrain of memory, massacre, and moral dilemmas, Cassedy asks: Can we honor our heritage without perpetuating the fears and hatreds of the past? Her rich and deeply-felt account offers important insights – and hope. A book signing will follow the presentation — please bring cash or checks. Books are $20 each. JGSLA members are free. Guests $5.00. Traveling library available at 7:00PM. Refreshments will be served.